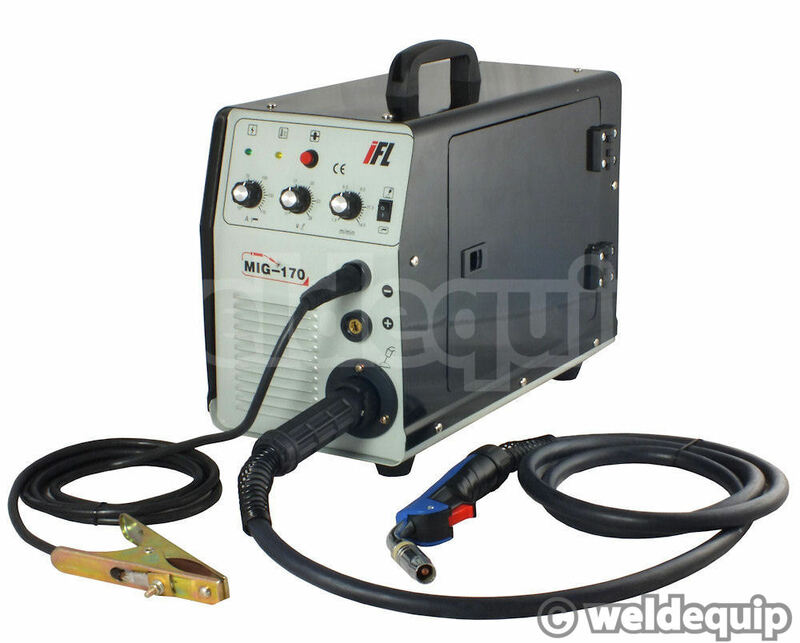 We have been testing IFL's new 170 Inverter system recently and found it to be an excellent tool - offering 3 welding processes from the same box - all with great performance. 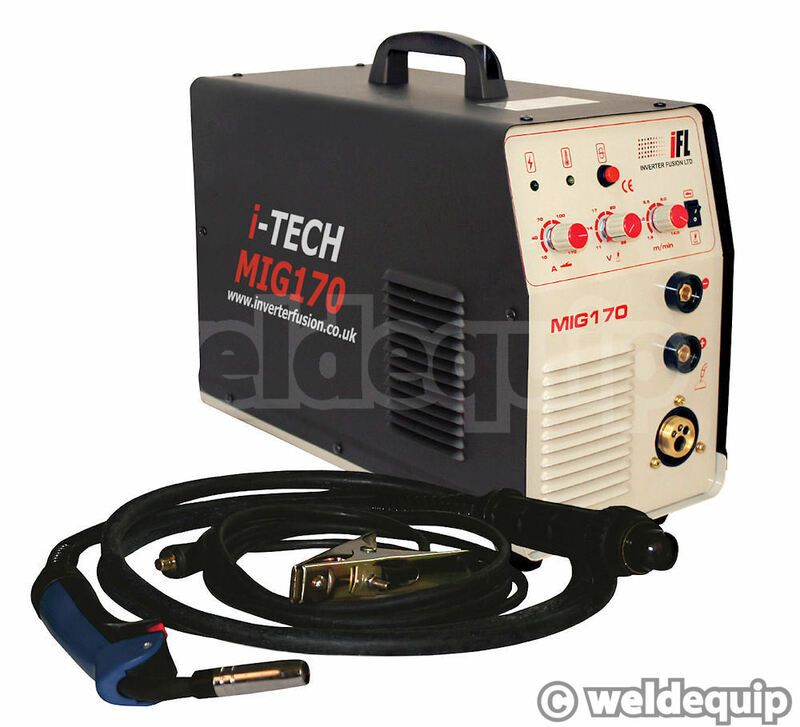 MIG, TIG & MMA (Arc) up to 175 Amps can be achieved with a simple flick of a switch & lead changeover, and at just 18Kg weight this a very versatile set up for small fabrication workshops , maintenance, mobile repairs, home/garage workshops etc. Stepless Voltage control on the MIG side allows extremely precise arc conditions to be set, going all the way down to just 11 volts, so you could almost weld tin-foil! An industrial quality wire drive/feed motor provides sound, smooth wire feeding. Soft-Start & fully adjustable Burn-Back Control are built in for perfect weld starts. A handy Wire-Inch button on the front control panel allows you to feed a new reel of wire (5Kg size) without wasting shielding gas. Polarity reversal inside the machine's wire feed compartment allows the use of Gas-Less, flux cored wires. Euro-Torch connection as standard. Flick the rocker switch on the front control panel, connect the supplied MMA lead, and you are Arc welding. Electrodes of up to 4.0mm can be used - approximately 10mm mild steel thickness . A smooth, DC output with built in Anti-Stick device gives a lovely arc condition. Can be used in both DC (-) & DC (+). 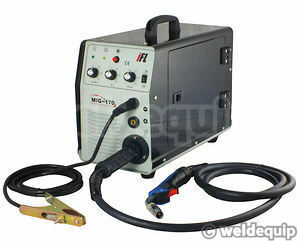 DC TIG can also be performed with this machine by connecting an optional TIG Torch assembly. Suitable for welding materials such as mild steel, stainless steel, copper, brass etc. (NOT aluminium). The arc starting is really very good for a basic "TIG" machine; instead of the traditional scratch-start method, the IFL 170 uses the same Anti-Stick circuit as on the MMA side, so as soon as you try to touch the workpiece with the tungsten electrode the arc starts - without scratching, without sticking - almost as good as push button HF start! A pretty impressive box of tricks for the money. Excellent performance, good build quality and no quibble support from a leading name. (We tested it at full power on all processes from a standard 13 amp plug without any problems! Although it should ideally be used from a 16 amp industrial type supply at higher power outputs). 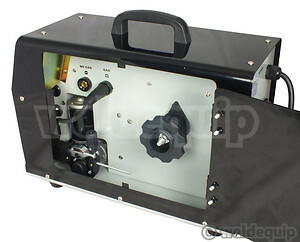 You will need a gas supply & spool of wire (5Kg) on top of the machine price to be up & running. TIG Torch optional.